Three rounds of League football has now been played and competition is starting to heat up in the prediction mini-league competition. 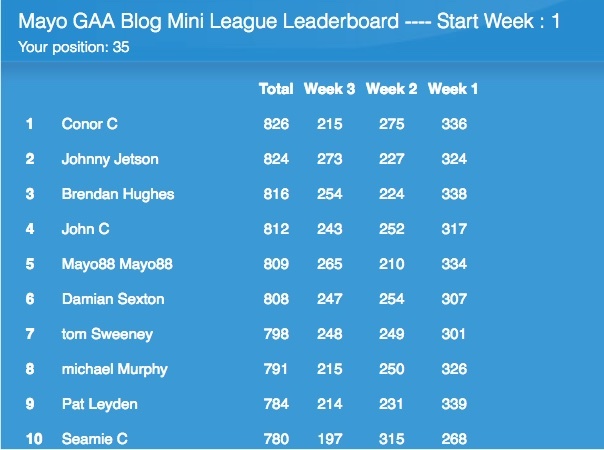 Conor C is still out in front but his lead at the top has been pared back to just two points. It’s very tight between all the main contenders at this stage, with fewer than twenty points separating the top six. It’s still anyone’s title at this stage. Here’s the Week 3 leaderboard showing the current top ten placings in the mini-league. I’m learning more about using this points system on the leaderboard each week. I fill it in each Friday evening before the matches, I filled out the last one in error, ie clicked on Kerry to beat Dublin, then changed it for the Dubs to win and submitted it, should have left it alone. The Monaghan v Galway result did’nt go my way either. 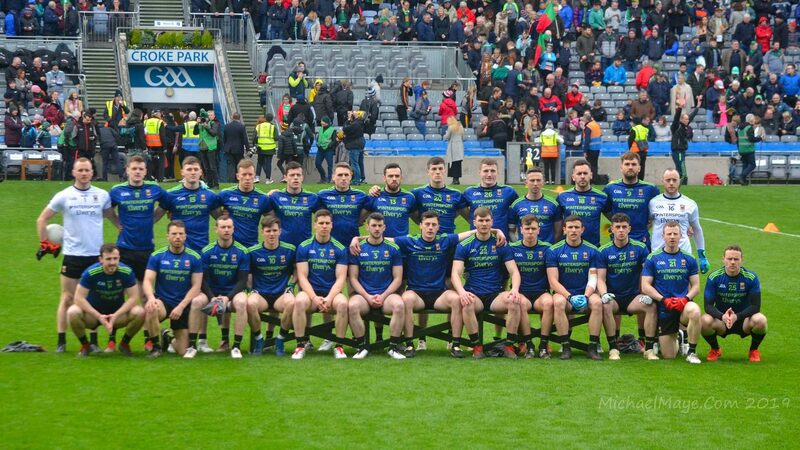 Will wait to the deadline on Saturday week to fill it in, at this stage I have to go for Mayo to beat the Dubs. There’s a rumor that a fanatical American may have had one of the best week 3 results!